A New York bookstore owner who closed his shop in protest against his state’s new late-term abortion bill gave an impassioned address this week at a local council meeting. Jon Speed, owner of The Book Scout in Syracuse, urged local government leaders to strike back and opt out of the newly enforced “Reproductive Health Act,” which includes provisions for abortion up until birth. 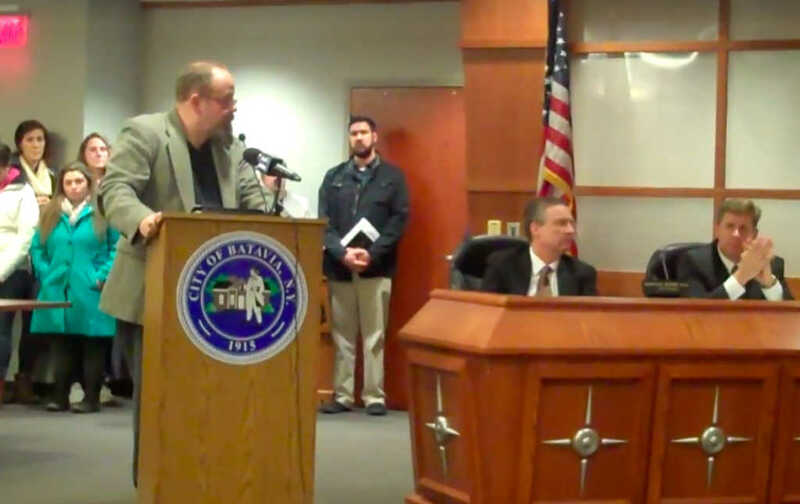 His speech, which was filled with many of the devastating truths that surround the sordid business of abortion, drew silence from the Batavia council chamber. Unedited video from last night of my speech to the Batavia, NY City Council. “What is the best way to kill a baby?” the former pastor asked. “Using an abortifacient? Or saline abortion — where the baby is burned alive in its mother’s womb? Or is it a surgical abortion in the second trimester when the baby is cut into pieces and then reassembled in a dish? Perhaps it is to deliver the baby in the third trimester and then stick a pair of scissors into his or her neck? Why is the new legislation so horrifying? The New York Senate erupted in applause following the passing of RHA last month. In light of New York state’s horrific legislative decisions, Speed decided to issue a Biblical challenge to the Batavia council members. The business owner noted that it was “irrelevant” whether or not the killings were legal under state law, comparing the situation to Nazi Germany. “Everything that Hitler did in Germany was legal, by German law,” he said. “Please lead the way in upstate New York, and make Batavia a sanctuary city for the unborn,” he said. Speed’s video has garnered more than 20,000 views in less than 24 hours. Pray that his powerful words will reach the right ears and discourage other communities from adopting legislation that harms the unborn.